Olivia Holland was born in London and grew up in Bath. She started dancing aged eight. 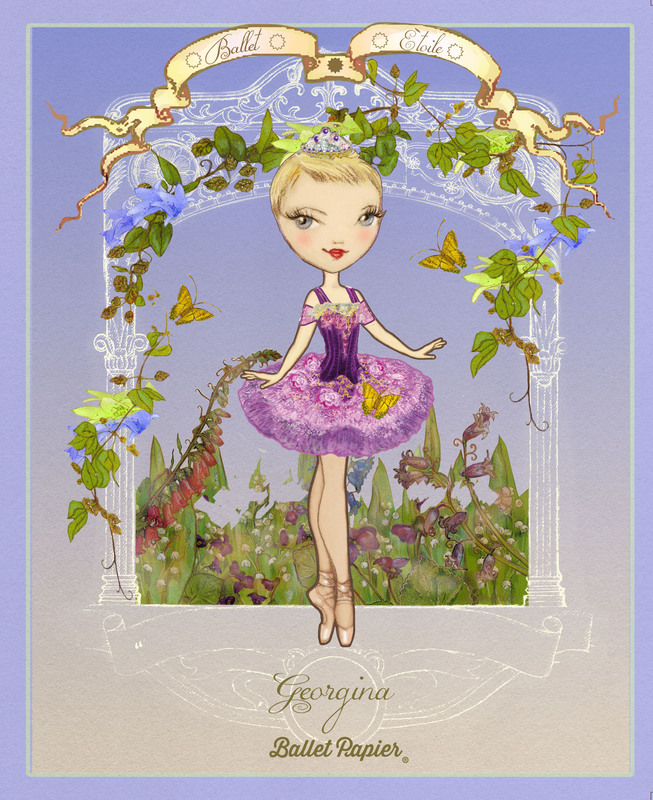 Before falling in love with dance, Olivia was a gymnast from the age of five. I still remember the competitions – it was the floor routines I excelled in, where my inner performer was coming out! Olivia participated in ballet, jazz, modern and tap classes at the Dorothy Coleborn School of Dance in Bath. 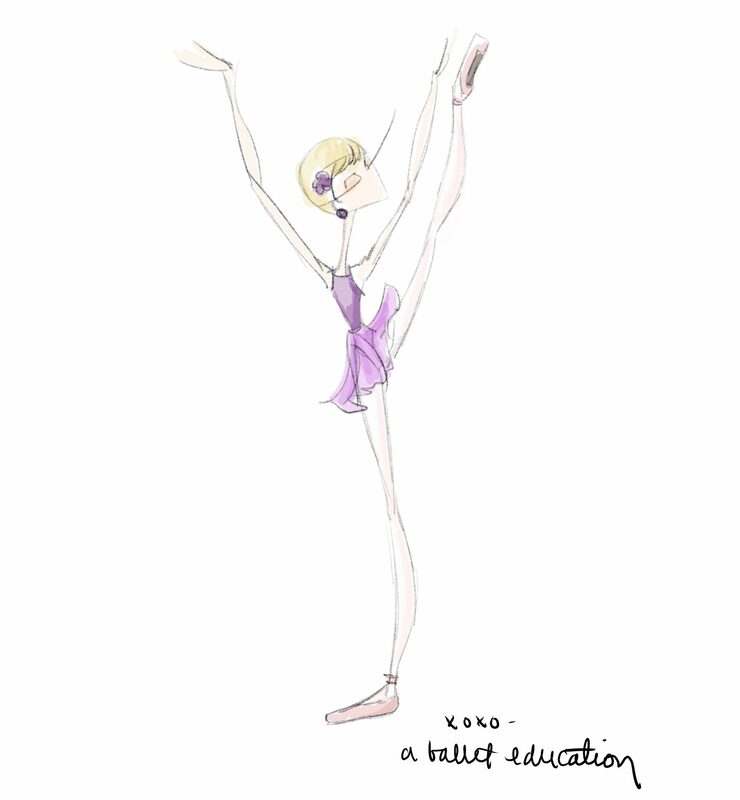 Here, she was taught by Royal Ballet School graduate – and Royal Ballet junior associate teacher – Karen Paisely. Motivated to pursue ballet more seriously, Olivia successfully auditioned for the Royal Ballet School, White Lodge, where she studied from the the age of eleven. The best thing about White Lodge is having this privileged opportunity to train in such an elite place, not only in ballet but academics too. The worst thing is being away from home. I got very homesick, especially at the beginning, and I still remember longing to be around my family. At home, Olivia grew up surrounded by art as her father, Peter, is an artist. Her older sister Charlotte is also very creative and currently works as a fashion buyer. I’ve always been passionate about photography and I loved Art in school. I am naturally more interested in artistic fields like illustration, photography, fine art and I also like writing too… and music! I’m generally enthusiastic about many paths and I enjoy having different projects on the go to keep me inspired. While her creative streak can be traced to her father, Olivia’s ability to multi-task and her entrepreneurial spirit must have been influenced by her mother, Penny. Mum is very organised! And, of course, extremely supportive. Olivia graduated from White Lodge after sitting her GCSEs. She continued intensive ballet training at Elmhurst School for Dance in Birmingham, where she also completed her A-Levels (in Art, Dance and English). Although it was difficult to leave her friends at the Royal Ballet School behind, Olivia blossomed at Elmhurst as a student, as a performer and as an aspiring artist. The best thing about Elmhurst is the excitement of being closer to a professional ballet company, Birmingham Royal Ballet (BRB). I had the chance to work with them as a student which was brilliant. Also, for me, the chance to do academics as well as dancing was one of my priorities, which this school fulfilled. Olivia started to paint while on tour with Birmingham Royal Ballet in order to keep up with her studies in Art. I bought some watercolours and little postcards and then just painted my surroundings – the dressing room, pointe shoes, costumes. My Cinderella Dressing Room and Ballet Pointe Shoes paintings are from my tours with Birmingham Royal Ballet. This is when I started to paint more of what I was interested in and inspired by – dancing. What was even more satisfying was to give the dancers a copy of what I had painted of them. 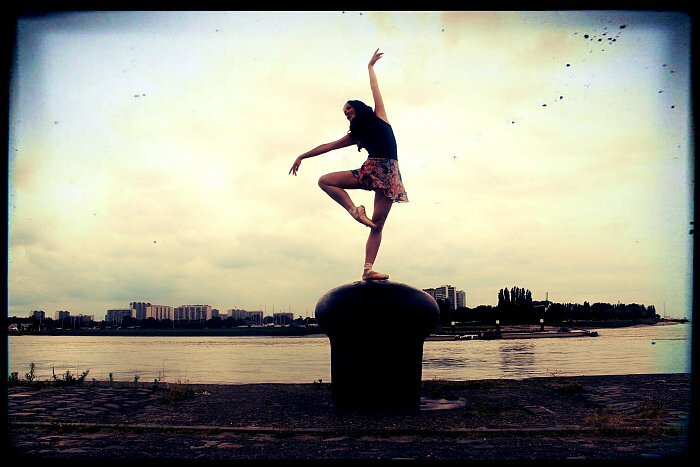 After graduating from Elmhurst, Olivia’s first professional contract was with the Royal Ballet of Flanders. She danced with the Company from November 2011 until June 2012, touring to Venice, Paris, Luxembourg and London. I feel very lucky now to have been thrown straight in to perform in Marcia Haydee’s Sleeping Beauty, Balanchine’s Serenade and John Cranko’s Onegin. I definitely had that new, fresh, exciting, buzz where I just couldn’t believe I was doing this for a profession and getting paid! This buzz motivated Olivia to record her experiences backstage in captivating photographs. I was freshly inspired and just excited to capture everything. When we were dancing Sleeping Beauty there were lots of beautiful tutus everywhere that I just had to photograph. I took a lot of pictures from the wings in silhouette and I would wander around backstage to show what people wouldn’t normally see. That is what I like to do, really show the life of a dancer as we experience it, rather than what the audience sees onstage. Ideally I’d like to be invisible because then I’d be able to capture everyone at their most natural! Royal Ballet of Flanders was just the start of Olivia’s professional dancing career. Having enjoyed Northern Ballet’s summer course in 2011, Olivia was invited to join the Leeds-based dance company in July 2012. She has performed David Nixon’s Ondine, Beauty and the Beast, Nutcracker, The Great Gatsby, Cinderella and A Midsummer Night’s Dream, as well as Northern Ballet’s Ugly Duckling and Three Little Pigs (shorter productions especially created to appeal to young children). Does Olivia have a favourite among these? I’m pleased to have got the chance to do The Great Gatsby as it was very trend-setting. 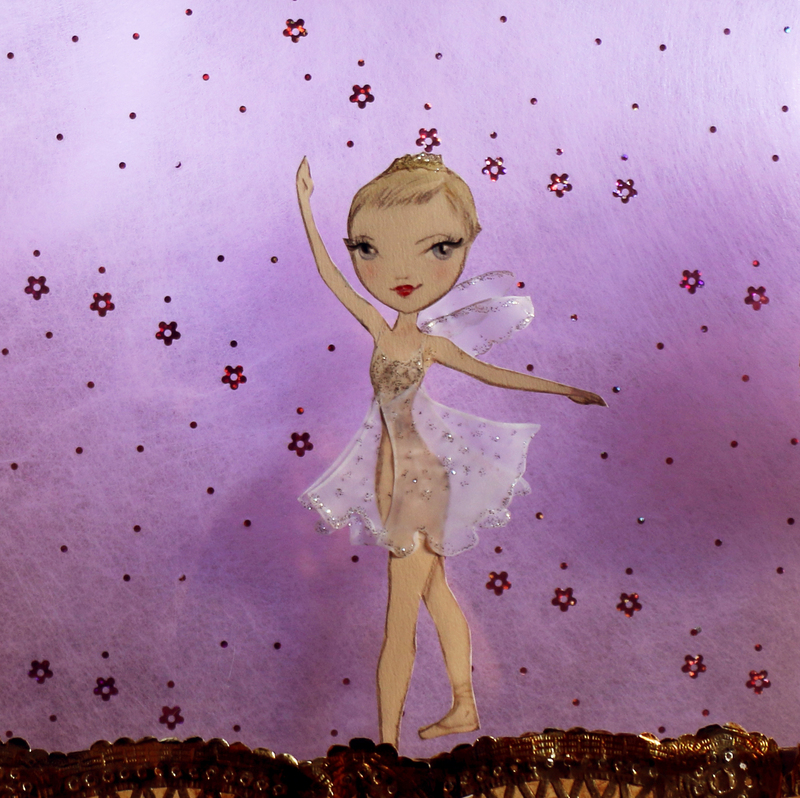 The new film had just been released which meant a lot of audiences could relate to the ballet. 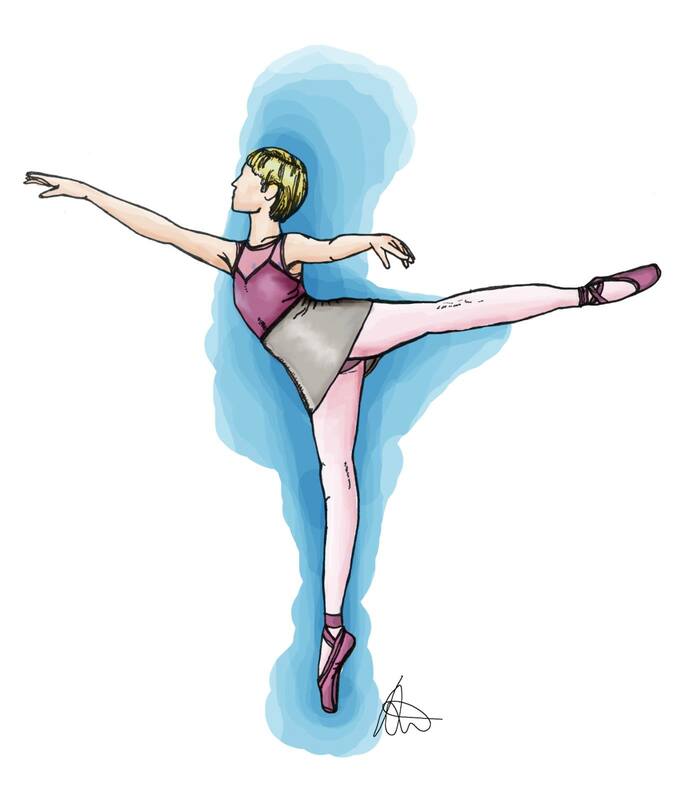 Olivia’s artwork depicts characters from many of these narrative ballets – will she produce pieces related to each production in the Northern Ballet repertoire? Probably! I create artwork from what inspires me, so when I watch the dancers onstage I often get the impulse to capture that memory in a painting. It’s also fun for me to paint what’s in the repertoire so I can watch the moments I paint onstage and the audiences of Northern Ballet can also relate to my work. Olivia only decided to try to sell her artwork recently. She launched her website at the beginning of April 2014 and has already had Northern Ballet fans meet her between shows to view pieces in person. 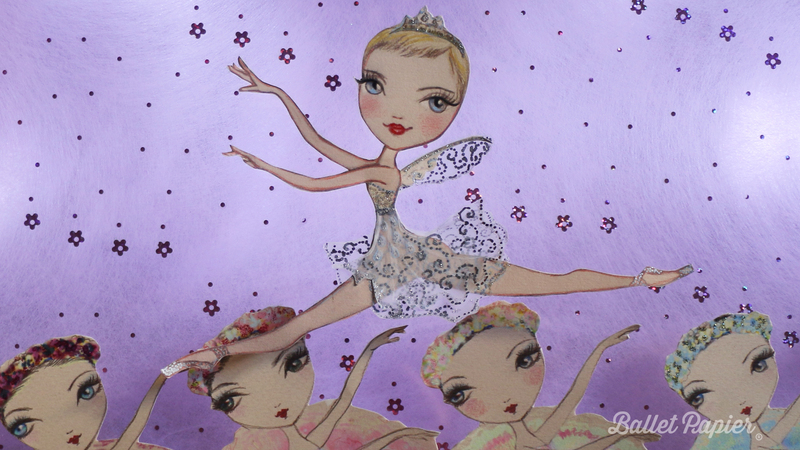 Brimming with ideas, she is enthusiastic about the possibility of incorporating some of the Company’s children’s ballet characters into her designs and thrilled that some of her greetings card are now available to buy in World of Dance, a specialist shop in Leeds. People get in contact on Twitter or through my website. It is lovely to meet them and people have said that the cards look nice online but are so much nicer in real life, which is good to hear. 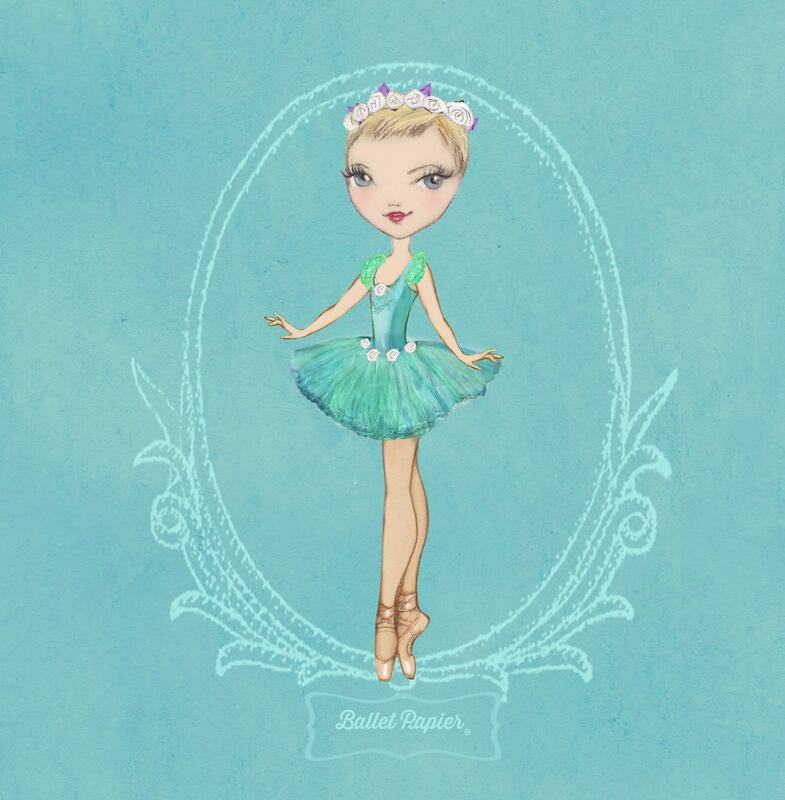 I do think that our next children’s ballet, Elves & the Shoemaker, would be very colourful and fun to paint and the characters would be good for Christmas cards! Things are just happening really fast! The shop started stocking four different designs in late May and they feature them in their windows which is just brilliant. 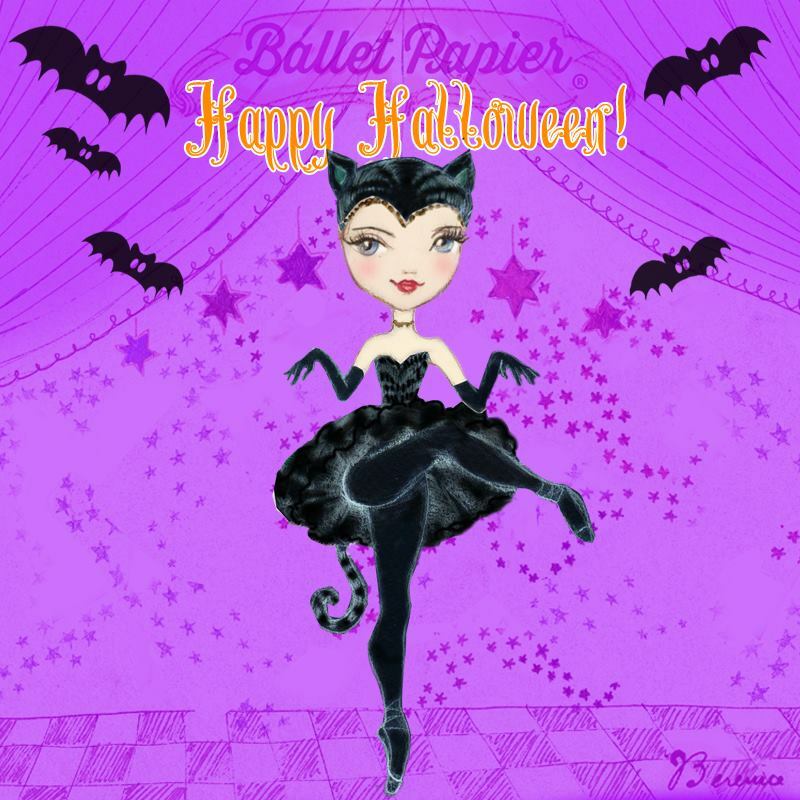 I am working to have the cards stocked in more dance shops and approaching more general gift shops and cafes too to get them seen by more people. Interest in Olivia’s artwork is sure to soar thanks to an appearance in this month’s edition of British Vogue magazine. I couldn’t believe it. I received an email from Vogue but thought it was spam. I mean, who gets an email from Vogue?! But I looked at it again and there was a number to call which made it a bit more personal so I rang and it really was Vogue wanting to feature my art in their ‘Gallery’ spread. What an honour! This month has also seen Olivia return to White Lodge to sell her wares at the Royal Ballet School Summer Fair. After selling over 100 cards to enthusiastic balletomanes at the annual event, Olivia is keen to return next year. The Royal Ballet School Summer Fair went really well and was such a good experience, especially as it was the first proper public outing for my artwork. All my old teachers were telling the current pupils that I was their A* GCSE Art student – it was years ago but it is lovely to be remembered for that. The students were really positive. They wondered who had created the artwork and were surprised it was me. A lot of them wanted to know if I’d be able to do paintings of them. It was also special for them to see Royal Ballet School graduates in my artwork, like Sean [Northern Ballet dancer Sean Bates]. The fact that I have pictures of male dancers, not just ballerinas, went down well – I think I will paint more boys for next year! Olivia was approached at the Fair about the possibility of holding an outside photo shoot for a young dancer and other commissions are emerging thanks to online handmade and vintage marketplace Etsy. 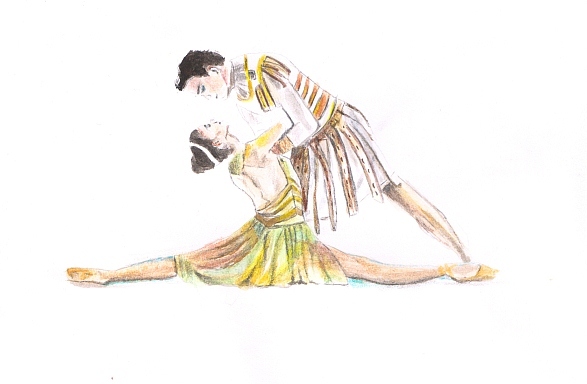 I have just joined Etsy this week, where I will take commissions on ballet paintings or drawings by request. 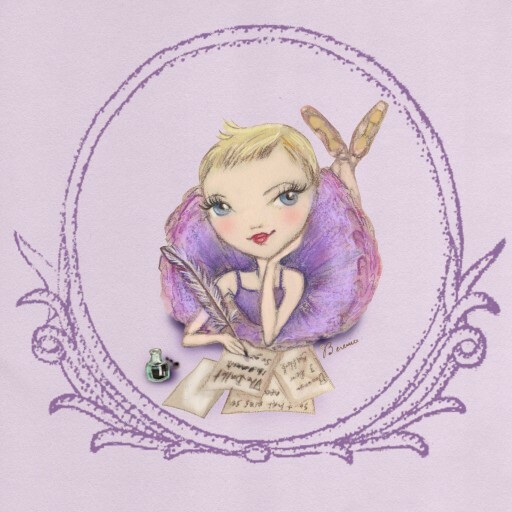 I have already had some custom orders, including a pencil sketch of the five ballet positions. Unsurprisingly, her fellow dancers are all clamouring for Olivia to paint them. I have painted about eight or nine dancers from Northern Ballet now, I think it is a lovely memory for them and something special to keep. It’s never enough to have just one painting though, they like to have some to give to family members too. I love it and it is so nice for them as well! 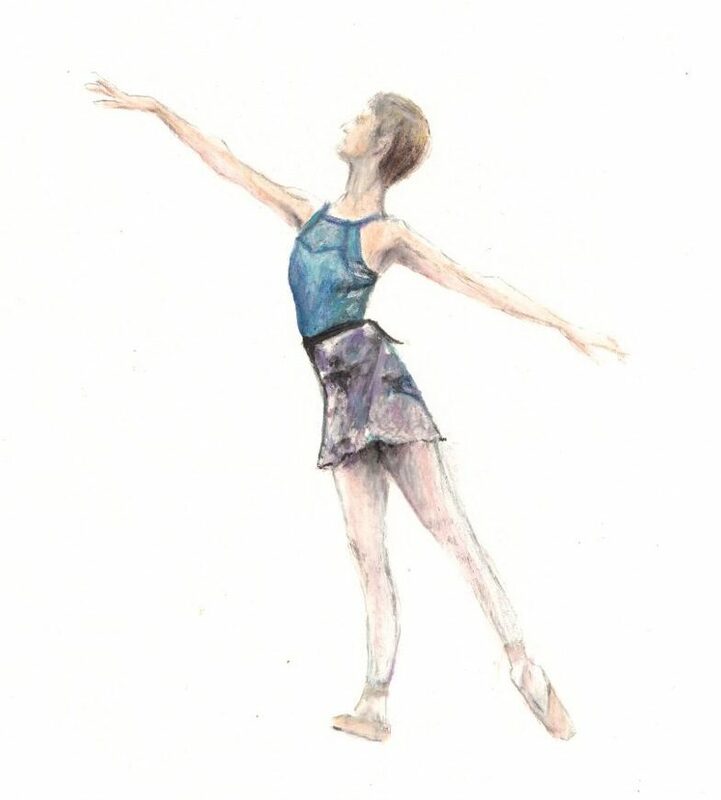 Northern Ballet is now on its summer break so Olivia will have more time for her artwork but how does she manage to fit it into her hectic schedule? It will be nice to have a bit more time during the summer but, honestly, a spare hour here and there, or if I get up on a Sunday morning and spend a couple of hours sketching or painting, is fine. I work fairly quickly and I enjoy it so I don’t mind the time it takes. I have a small palette of watercolours that I keep in a pencil case and I keep things simple so that I can just get it out and get on quickly. I think if I had lots of equipment and bits to set up it would be harder to fit it in. I use train journeys too. I have sketched on trains in the past but now I am getting more ‘professional’ I can use the time on trains to keep on top of the online business and the admin. Olivia is thrilled with her custom orders but particularly enjoys painting when inspiration strikes. All dancers have idols so who would be Olivia’s dream dancer to paint? I would love to paint Tamara Rojo. I really admire her as a dancer and there are some amazing photographs of her so she would be such an inspiring dancer to paint. Now that I have more time on my hands I think I might look into that…! Olivia has had a whirlwind few months touring with Northern Ballet, setting up her online business and establishing retail and media contacts. Besides making the most of her hard-earned summer break by spending time with family and friends at home, what would she like the future to hold? I would definitely like to stock my cards and prints in more shops and keep taking commissions, as well as painting more dancers by request. It gives me such a boost to share my artwork and do something which has always been a hobby of mine. The fact it is now giving people more of an insight into dancing is fulfilling and I love meeting people who like my work. > Visit Olivia’s website to see her artwork in full and discover what else inspires her on Pinterest. UPDATE: I caught up with Olivia Holland again for another interview in October 2016.